Sodexo is the global leader in Quality of Life services. They’re the only company offering on-site services, benefits and rewards services and personal and home services. They serve different sectors such as schools, government agents, hospitals and even private homes. The company was founded by Pierre Bellon in Marseille, France in 1966. They started as a service provider for restaurants, schools and hotels in Marseille. With Bellon’s leadership, they further expanded across France and then internationally. Today, Sodexo is one of the largest multinational corporations with over 400,000 employees representing 80 countries worldwide. They continue to expand their service coverage to include food services, facilities management, service coupons and even provided operations support for prisons. Employees are entitled to a comprehensive benefits package with competitive pay, medical, life and disability insurance, 401k retirement plans and paid holiday and time off. Employees are also given individualized coaching and development training plans for advancement. With Sodexo, their people are at the center of things. Customers are prioritized by giving value service all the time. Employees are given importance through continuous coaching and training to ensure they’re adequately equipped for their career advancement. To be considered for employment, applicants must first meet the minimum age requirement of 18 years old and have a high school diploma or an equivalent GED diploma. Baker: Bakers prepare baked goods following company recipes and product requirements. They’re responsible for keeping their baking area and equipment clean and orderly. The help in managing baking stock inventory and restock it if required. They comply with company safety and risk management policies and procedures. Barista: Baristas prepare hand-crafted, quality beverages. They take orders and prepare hot or cold coffee, tea, fruit blend drinks or other drinks following customer specifications. They ensure that all product displays are attractive, process sales transactions and help keep the bar supplies and equipment neat and orderly. Cashier: Cashiers handle cash and credit transactions from retail customers. They scan product codes, operate the cash register, process cash, checks or credit card payments and issue receipts to customers or employees. They ensure compliance with the company’s cash-handling policies and procedures. Food Service Worker: Food service workers assist in most steps of the food preparation process. They estimate food requirements, operate a variety of kitchen utensils and set up serving stations with entrees, soups, salads, condiments and other food products. They assist in maintaining the stockroom supplies levels. Cook: Cooks prepare a selection of food products for various meal periods including breakfast, lunch, dinner and special catered events. Cooks make food and serve customers a la carte or may operate a grill station. They ensure that all food products are of highest quality and ensure compliance with the company’s health and safety policies. Environmental Service Attendant: Service attendants are responsible for cleaning common areas, lavatories, food service areas and any other area that may require attention. They sweep, mop and polish floors, clean and fix light fixtures, shampoo carpets and throw away trash. They also ensure that cleaning supply stock is kept at required levels. General Maintenance Worker: Maintenance workers fix and maintain machines, mechanical equipment and do any minor repair work required in buildings. They perform minor plumbing, carpentry, painting, electrical repairs, vehicle servicing and installations. They identify unsafe working conditions, correct them and report to management. Administrative Assistant: Administrative assistants provide secretarial and administrative support to a department or a group of professionals. They make phone calls and answer incoming calls, handle email correspondence, prepare and send office memos, schedule and arrange meetings and ready meeting presentations. Accountant: Accountants perform transactional unit audits across all market per fiscal period. They collaborate with different units to review current accounting and reporting processes, identify process gaps and correct them to prevent future discrepancies. They assist in updating and maintaining the Revenue Accounting System to ensure proper functionality and system documentation. Biomedical Equipment Technician: They are responsible to troubleshoot, inspect, repair and maintain a range of clinical equipment, devices, systems and instruments. They ensure that all equipment is properly calibrated and functioning correctly. They prepare all required documentation and reports for every repair or maintenance activities performed. 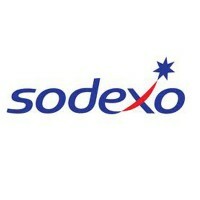 The most efficient way to search for jobs with Sodexo is through their Careers page. Browse through open positions for different career tracks within the company. Find the one that interests you and fits your current skill set. First-time applicants need to register their email and create a recruitment profile with the company site. If interested in applying for a post, you can proceed with the application. In the application page, you would first need to upload your resume and a cover letter. After that, you’ll be directed to the application form where you would need to input your personal, educational and employment histories. Applicants will then have to take qualifications assessment. Some jobs require that you send an application directly to the email address of the hiring unit’s recruitment contact. The recruiting unit will notify you of the next steps. Make sure that your resume information is updated and accurate. You should highlight your core qualifications and certification that make you fit for the role you’re applying for. Service and Team Spirit are two of Sodexo’s core values. Every employee leverages their skills and works with other team members to ensure that the customers and clients’ needs are prioritized and placed at the center of everything they do. For 10 consecutive years, the company was awarded with the Gold Distinction in RobecoSAMS’s annual Sustainability Awards. This recognition reflects the company’s mission of contributing to the economic, social and environmental development of the communities they belong to. Sodexo is known for its Service Vouchers and Cards. They provide companies and public authorities with restaurant vouchers, meal passes, leisure passes and other vouchers that they can give out to their employees or constituents as a form of reward. The company has been supporting Stop Hunger, an organization dedicated to fighting against hunger and malnutrition. In the last 20 years, it has sponsored several food collection drives, provided volunteer effort and created community gardens for training and food supplies. 1 How old do you have to be to work at Sodexo?